Every transaction we make in our daily lives ultimately contributes toward building a peace economy or a war economy, a world of compassion, justice and well being, or a world of indifference and violence. 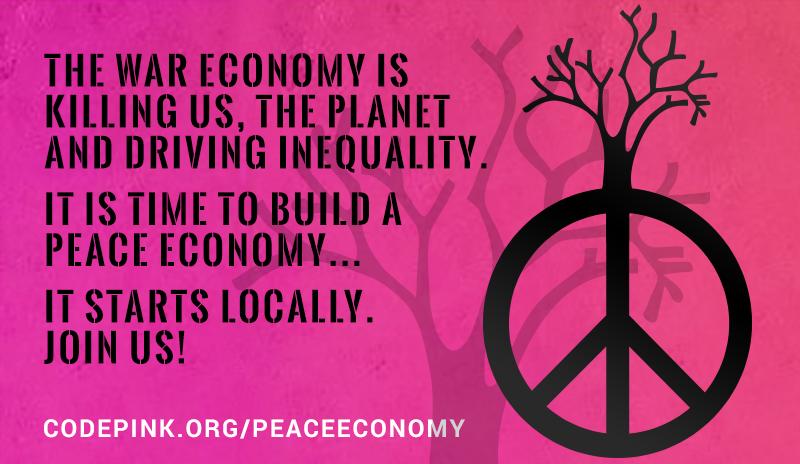 The peace economy model encourages us to reinvest in our local communities, in the people. It calls for creating cultural, social and economic models that cultivate a sense of respect and self-determination for all our communities. We cannot make these changes without the foundational building blocks of the very peace and justice we are seeking. Join us to learn more about the Local Peace Economy (LPE), its role in the just transition, projects that are happening in the US and around the world, and things that you can do to create resilience in your community and other communities.